If you tell somebody about the Museum of Bags and Purses, they often start to giggle or frown. "That's a silly subject to make a museum about"; they say or think. And they are right, but this museum is the biggest bags and purses museum in the whole world and it actually is quit interesting to visit. The real Dutch name is Tassenmuseum Hendrikje. The museum is located in a very beautiful canal house build in 1664 in the center of Amsterdam. The Museum has more than 4000 bags, purses, pouches and accessories in its collection. 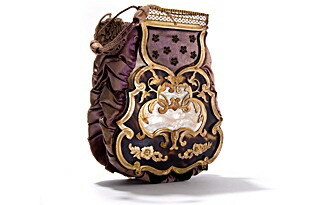 It displays more than 500 year of history of the bag, starting with a goat leather trunk to a famous bag of Madonna. See the materials, forms, styles and more in this surprisingly interesting museum! Besides showing the history, they also have room for more modern designed bags by Dutch designers and designers from overseas. And there is a bar/restaurant and shop. The museum of bags and purses is located behind the Rembrandtplein. To get there by tram from the Central Station: Take tram 9 and get out at Rembrandtplein. Or you can take the subway 51, 53 or 54 and get out at Waterlooplein. 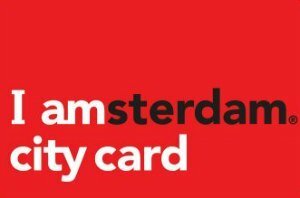 Free with the Museumcard, IAmsterdam Card or Holland Pass. Daily from 10.00 a.m. until 5.00 p.m. Accessible with wheelchairs, there is an elevator.